The protracted Chinese economic slowdown remains the top business challenge. Pessimism about growth and profitability has forced European businesses to cut back significantly, particularly through headcount reduction: 39% are planning to cut costs—a large jump from just 24% in 2014—with most of them planning employee lay-offs. China remains a key market and thus European companies want the "new normal", much like China wants to move its economy up the value chain. However, the regulatory framework has yet to come into place. 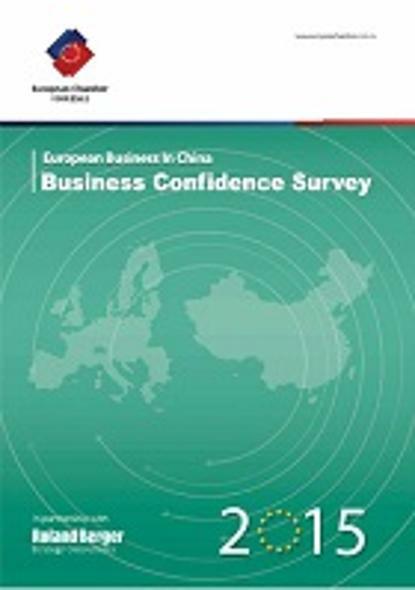 In particular, a better implementation of the rule of law is seen as the top driver for China’s economic development going forward, according to the Business Confidence Survey 2015 released by the European Union Chamber of Commerce in China and Roland Berger Strategy Consultants. The Chinese economy is facing a paradigm shift, making it necessary for the Chinese Government to discard its "old toolbox" of high, fixed-asset investments and export-driven growth, which created unprecedented overcapacity levels and debt burden in many sectors. China’s economy still has room for growth, and so more than half of European companies remain optimistic about their growth prospects, though this number has dropped 10 points year-on-year. Furthermore, nearly a quarter are pessimistic about their profitability outlook.